← Spring Hill, Florida. June 6th, 2011. Detroit, Michigan. June 6th, 2011. 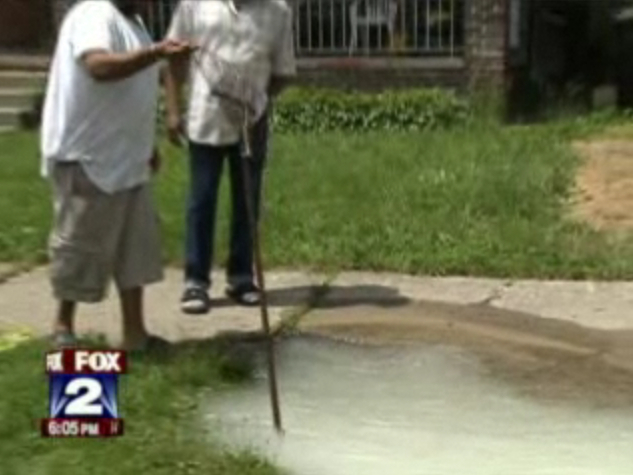 A sinkhole in Detroit is creating a dangerous sitaution. It’s several feet deep! 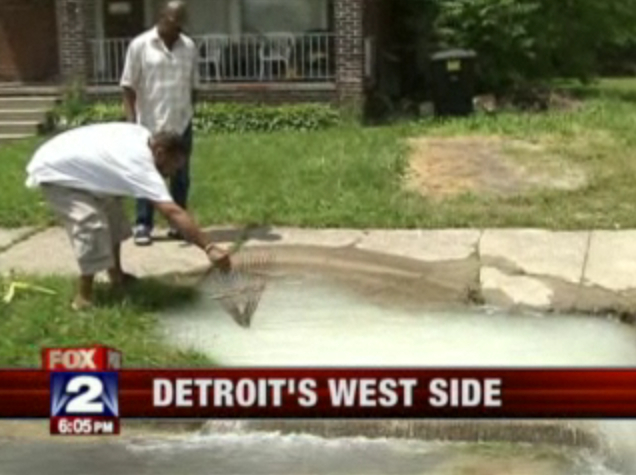 Neighbors on Ohio at Eaton, on the city’s west side, used a rake to show us how deep the water is. 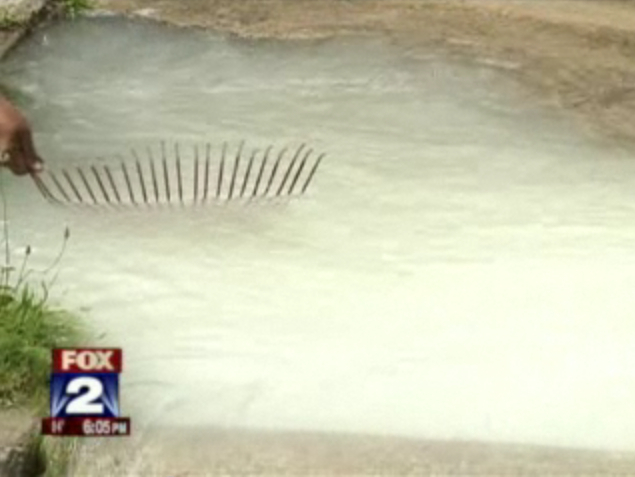 The entire rake, from top to bottom, fits into the sinkhole filled with gushing water. A city spokesperson said they would send a crew out on Monday. Neighbors tell us a watermain broke last week and the water department put up barricades, but the barricades were actually swallowed up by the sinkhole. 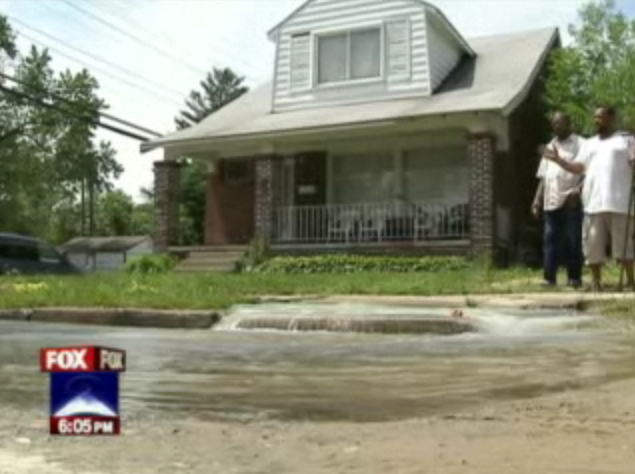 This entry was posted in Pictures and tagged Detroit, Ohio Ave at Eaton ave, rake, sinkhole, water main. Bookmark the permalink.